Marketing your book in advance of its publication helps establish or further build an audience that will come to the book during its launch, helping to create the all-important sales momentum. If you’re in the process of writing a book, you should already be thinking about book promotion. Below are six steps to get you on the right marketing page. The more you help promote your book, the more thrilled your publisher’s staff will be. But be sure to keep your editor, book marketing, and publicity folks in the loop. This way, you can all make sure that everyone's efforts dovetail, rather than compete with each other. Start promoting your book as soon as you have the book deal; 18 months or a year before publication is a good time to get your book promotion and publicity started, especially if you need to build an audience. Here's what you can—and should—start putting into place at that time to ensure you’ll be well set-up when the book publishes. For starters, get a handle on how your book is marketed via SEO—learn about book metadata and how to choose keywords. Really, it's not as complicated as it sounds and understanding those concepts will help you to use the right language to target at your potential audiences. If you haven’t already, plant your authorial stake in the virtual ground with author content marketing. Design an effective author website that showcases you as the subject matter expert or fiction writer that you are. When appropriate, it should also showcase your book. If you’re not sure what your site should include, learn about the elements of an effective author website. Having a blog on your website helps to engage readers and keep them posted on your work. It’s important to get your website up before the book is available, as it takes some time for search engines to “find” you. Whether it’s a thriving small business or a hit television show or a lot of Twitter followers, your author platform is a valuable marketing commodity. In advance of your book’s publication, figure out how you will be able to utilize your platform/s to best market your book. For example, if your platform is a blog, schedule your book’s publication announcement and plan promotions such as cover reveals, content teasers, and book giveaways. 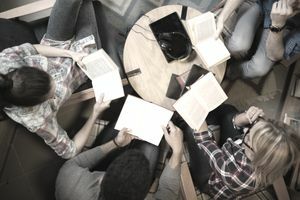 Begin to review your networks for fans—whether professional or personal—who might be willing to help spread the word about your book when it hits the marketplace. These could be everyone from friends who have media contacts, to the editor of your alumni magazine, to your favorite local bookstore owner, to your friend who has 10,000 Instagram followers. For help with figuring out who might be willing and/or able to help spread the word about your book, learn about the author questionnaire marketing tool that’s used in some form or another by most traditional publishers, and take the time to fill one out yourself. If your book is a non-fiction that won’t suffer from a little commercial association, you might want to consider looking for a sponsor to help promote or help defray your marketing costs (traditional publishers love this!). For example, if your book is about pet care and you have pet food company connections, you might ask them to sponsor a book tour to help defray the cost of author appearances or a satellite media tour. Tapping into your social media networks for book promotion. Twitter hashtags specifically for writers. How Can Marketing Synergy Be Achieved With Promotional Tie-Ins?